Lydia Dorrance, Ph.D. is a Senior Scientist in Roux’s Oakland, California office with over ten years’ experience in environmental sampling, analysis, and use of forensic signatures to determine source and timing of contamination. Dr. Dorrance has expertise in reconstructing historical deposition in complex sedimentary environments and her training and experience in geochemical analysis and environmental forensic techniques has been applied to sites with sediment, soil, groundwater, and surface water contamination. 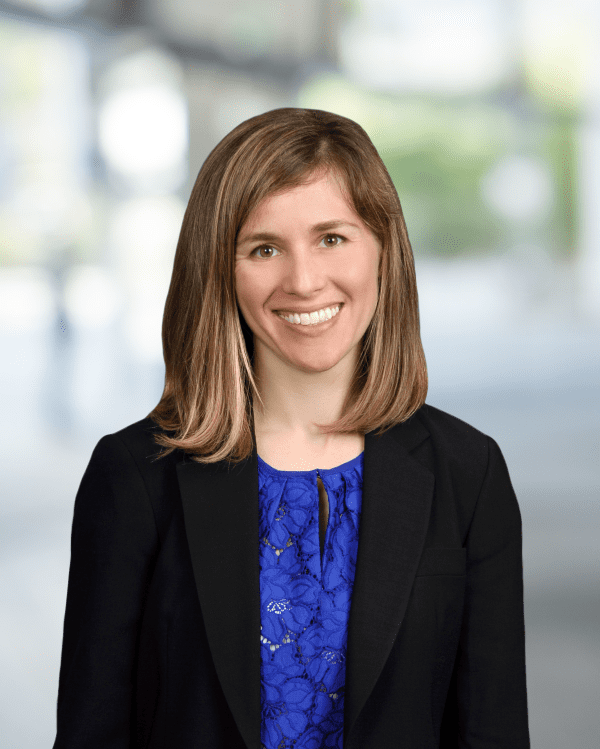 She primarily works with clients involved in environmental litigation, while also supporting environmental site investigations, remediation, and cost recovery disputes. This experience has included numerous large complex CERCLA sites, former military bases, and smaller properties impacted by chlorinated solvents, petroleum hydrocarbons, metals, PCBs, and PFAS. Dr. Dorrance regularly presents at conferences on topics including environmental forensics and emerging contaminant chemistry, and has published in multiple peer-reviewed journals. She received a B.A. in Environmental Chemistry from Columbia College at Columbia University and a M.S. and Ph.D. in Oceanography from the Scripps Institution of Oceanography at the University of California at San Diego. Evaluated potential sources of PAHs in estuarine sediment at a CERCLA site (a so-called sediment “mega-site”) in Pacific Northwest. Activities involved selection of sampling locations, oversight of sediment core processing, and evaluation of geochemical analytical data to investigate relative contributions of potential sources of PAHs to sediment study area. Performed forensic evaluation of heavy metals in residential soil adjacent to former industrial facilities at midwestern CERCLA site. Evaluation involved use of statistical techniques, geospatial mapping, and detailed research of operational and regional history to identify (and rule out) potential sources of heavy metals to soils. Investigated potential contributors to comingled chlorinated solvent groundwater plume in southern California. Applied understanding of solvent fate and transport properties, site operational histories, regional groundwater geochemistry, and land-use history to evaluate facilities’ contributions to plume. Supported deposition testimony of four expert witnesses. Evaluated nature and timing of environmental investigation and remediation activities associated with cost recovery dispute at former California military base. Assisted in preparation of expert report documenting opinions in the matter. Case resulted in favorable settlement for client. Assessed environmental estuarine fate and sediment depositional history of heavy metal at sediment mega-site in northeastern United States. Investigation employed multiple lines of environmental forensic evidence to assess extent to which this metal had remained buried within estuarine sediments.